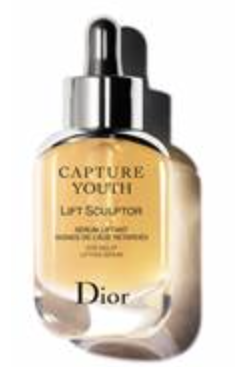 At the start of 2018 Dior launched its new anti-aging collection called Capture Youth. The new collection endorsed by the face of actress Cara Delevigne, is aimed at thirty-somethings offering a personalized approach to delay the first signs of aging. 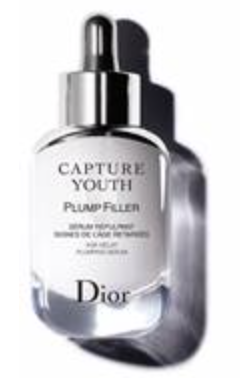 Deeply rooted in precision medicine, or customized preemptive health care, Dior’s new Capture Youth collection is created in collaboration with the European Institute of Antioxidants and the Université Pierre et Marie Curie. 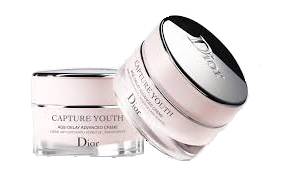 To help develop the advanced product line, Dior and the Institute have employed a special method for measuring antioxidant and free radical activity in biological tissue and discovered that our skin possesses its own intracellular antioxidant defence system, called glyoxalase, which is said to be responsible for its resilience against visible signs of aging. 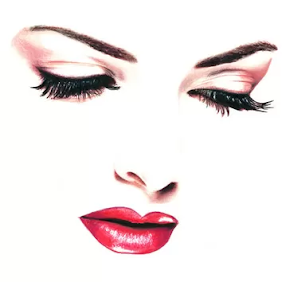 Glyoxlase is, unfortunately, weakened by time and environmental effects, so the holy grail of anti-aging would be to find an efficient solution for increasing its activity - an extract of Florentine iris. 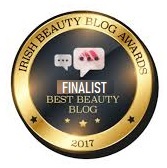 As described by Dior, "a high concentration of this Iris-derived ingredient provides an active antioxidant effect from the inside out". 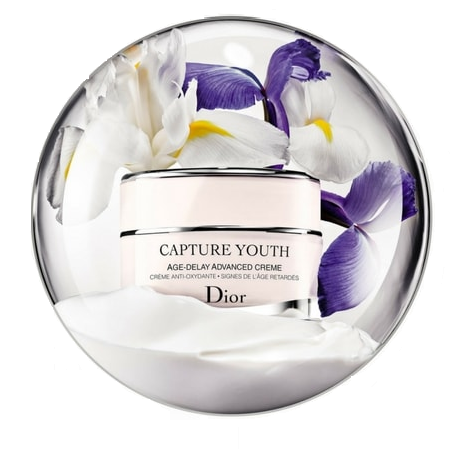 The ingredient, in its concentrated form, is found in the Capture Youth Age-Delay Advanced Crème, which is central to the collection. An expert antioxidant crème that works to delay signs of aging before they appear. A natural plant mesh smoothes, retextures, and strengthens the skin. Its ultra-fine texture is gentle on all skin types. The crème can be combined with any of the targeted serums for a personalized skincare regimen tailored to the skin's specific concerns. Complementing the day crème is five serums; each designed to target and treats a specific skin concern: lift, mattify, illuminate, soothe, and plump. Enriched with antioxidant-rich iris extract to delay signs of aging, each serum is infused with a naturally-derived active ingredient to deliver spectacular results. 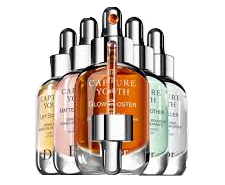 These serums are formulated to be used with the universal antioxidant crème for maximum efficacy. 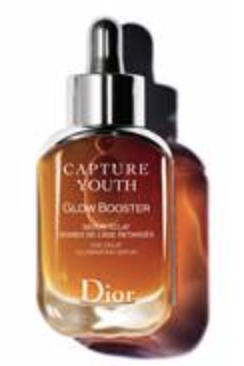 An illuminating serum is a glow booster to help restore radiance. Murunga Plum, known to be 100 times more concentrated in Vitamin C than oranges, combined with alpha hydroxy acid helps to brighten the complexion and smooth skin texture. Derived from natural-origin fermented wheat, the hyaluronic acid molecules in this serum have different molecular weights to both rehydrate skin on the surface and help to restore the skin's plumpness. Enriched with antioxidant boosting iris extract and composed of 87% natural-origin ingredients, this serum has a fresh, nourishing texture that leaves skin feeling smooth and plump. Rich in naturally-derived polyphenols from a blend of green, white and rooibos teas, this serum combats a lack of skin tone and elasticity. Enriched with antioxidant Iris extract and composed of 92% natural-origin ingredients, this serum offers an instant tightening effect. A blend of cotton peptides helps to soothe and calm red, reactive skin. 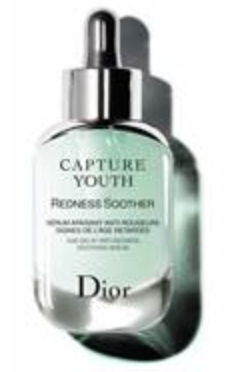 Its corrective green-tinted texture helps to visibly neutralize redness to calm and soothe skin. Enriched with antioxidant-boosting Iris Extract and composed of 79% natural-origin ingredients, this formula is gentle on even the most sensitive skin. Naturally-derived Lactic acid from sugar cane, combined with pink clay and zinc gluconate, helps to absorb excess sebum, control shine and minimize the appearance of pores for a smoother, more refined skin texture. Enriched with anti-oxidant boosting iris extract and composed of 88% natural-origin ingredients, this formula has a fresh texture that leaves skin feeling velvety-soft. 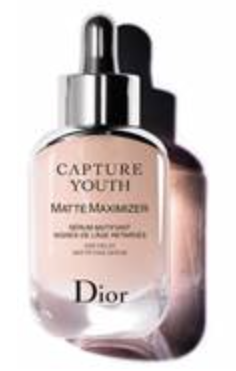 Dior’s Capture Youth collection is available online and at select makeup counters worldwide. 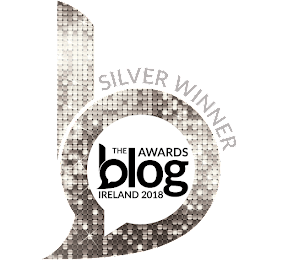 Age-Delay Advanced Cream is retailing for €95.50 while the serums come with a price tag of €95.50 each.